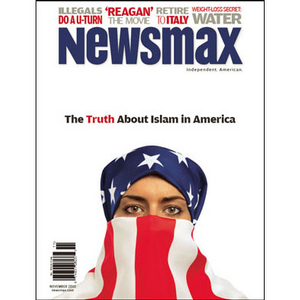 As the debate intensifies on how to combat the threat of terrorism and how much focus is necessary on American Muslims, Newsmax takes an in-depth look in this special report, "The United States of Islam." Are they middle class professionals or dangerous religious zealots? Just how much does Shariah Law influence their lifestyles? And how will they respond to the death of Osama bin Laden at the hands of American Special Ops Forces? A fast-growing Muslim minority is making its voice heard in America. Some applaud the trend; while others worry that our traditional Judeo-Christian culture is at risk. The report uncovers surprising facts about Islam in America — and dispels widely held notions about Muslims in the American melting pot. 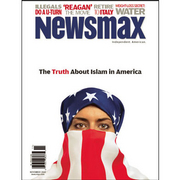 This important edition of Newsmax magazine is only available through this special offer! American Muslims: model minority or suspect class? Home-grown terrorists and their "stealth jihad"
Moderate Muslims' fight against "political Islam"
Where are most American Muslims from [not the Middle East]? Warith Deen Mohammed — "America's Imam"
Islamic honor killings increase in the U.S.
Should "anchor babies" be automatic citizens?